Dubbed the "Beverly Hills of Dubai", Emirates Hills is the city’s most prestigious address. 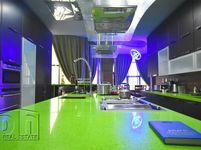 Set around around the pristine Montgomerie Golf Course; this lush, gated community is home to some of the city’s largest and most luxurious mansions, many of which are custom-designed. This gated villa community was the first to sell freehold plots of land for individuals to build their own homes. 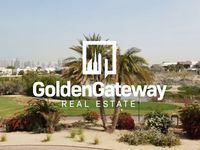 With plots starting from 12,000 square feet and above, the average home in this exclusive community is much larger than the typical Dubai villa. 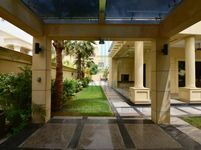 Some of the country's most plush mansions can be found in Emirates Hills, many including opulent features such as underground play/media rooms and indoor saunas. Residents frequent the Meadows Town Centre for daily/regular shopping needs thanks to the Spinneys grocery outlet and fine foods store Milk and Honey. For larger shopping excursions, Dubai Marina Mall and Mall of the Emirates are less than a 10-minute drive away. 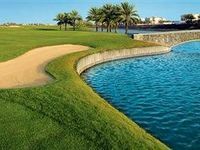 The hallmark of this community is the world-class Montgomerie Golf Course and Golf Club. Most homes look out over the green fairways of this 18-hole championship golf course, making living in Emirates Hills a golfer's paradise! The Golf Club offers three restaurants for the public, a members-only cigar lounge and a ladies spa/fitness facility just in case golfing isn’t totally your speed. The entire community is encircled in jogging paths and walking trails which run along the lakes with their fountains livening up the area. A wide selection of cafes and fast-casual restaurants can be found in Meadows Town Centre, including Shakespeare & Co, Copper Chimney, and Starbucks. For more distinctive dining experiences, residents can count on the restaurants at the Golf Club or the nearby Reform Social & Grill in neighboring community The Lakes. 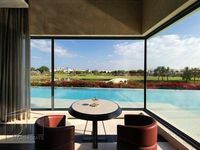 While there are no bars or clubs in the neighborhood, plenty of residents enjoy the relaxed environs of The Address Montgomerie and the club, with more options to be found in Dubai Marina, all of which are a few minutes drive from Emirates Hills.